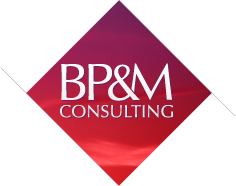 With his twenty-one years of experience as an independent IT professional, Éric Baulne adds solid application development service delivery value to the BP&M team. He also has in-depth experience in application architecture and software development project audits (IV&V) for both private and public organizations. He speaks English and French fluently and has a Level II (Secret) Security clearance. Over the years, Éric has participated in many large systems development projects. His roles have ranged from software developer/architect to team leader and software development manager. His ability to identify common risks to IT Projects, combined with his natural leadership skills has enabled him to create environments where team members are motivated to push the boundaries of what is technically and operationally feasible to meet clients business needs. For Éric, business drives IT and not the opposite. Éric strongly believes that professional work ethics and dedication are primary contributors to the success of any software development project. Use of the proven and effective methodology “Agile Development” has also been a tremendous aid in his past and current projects. This lean process coupled with a sharp focus on producing quality output has always resulted in delivering initiatives on time. Éric’s expertise and team oriented strategies on application development service delivery was key to allowing Elections Canada to bring forward state-of-the art technology to Canadian voters. The “Voter Information Service” application has been recognized government wide with a GTEC “bronze” medal award in 2005. It was Elections Canada’s first winning award. Furthermore, a GTEC Service Distinction award for the “Provisioning Management Application” system was received in 2008. Éric is a graduate of La Citée Collégiale in software programming since 1992. Éric is an active member of the Project Management Institute (PMI) and has attended various training during his career. In 2012, Éric successfully completed Agile training given by Agile Raven, Inc. in Chicago for the PMI Agile Certified Practitioner as well as Web User Accessibility given by Derek Featherstone of Simply Accessible Inc.